A Yahoo news story cites certain media outlets, like the New York Times, that reported there isn’t enough scientific evidence to prove cell phone radiation may cause cancer. But the ordinance apparently wasn’t about this continuing debate, It was about bringing attention to the fine print written by the manufacturers of mobile phones that consumers may overlook. Would you like to see more communities pass a Right to Know ordinance like Berkeley’s? Based on what different cell phone manufacturers say in the fine print about how far away from your body to have your phone, will you now be likely to follow their guidelines? How concerned are you about children, especially youngsters, being more vulnerable to radiation? -Buy a phone with a low Specific Absorption Rate (SAR), which indicates how much radiation a phone emits. Using a phone with a low SAR means your body will be absorbing less radiation. -Use the speakerphone vs. putting the phone next to your ear. -Text vs. call when possible. -Keep phone conversations short. Better not to talk when you’re getting a weak signal. -Keep the phone stored with the keypad facing you, so the electromagnetic field is directed away from you. -Don’t carry your phone on your body. Pocketbooks and briefcases are preferable. -Don’t sleep with your phone or use it as an alarm clock. In addition to getting less radiation, you’re likely to get a better night’s sleep. -Shut your phone off when not in use, and even better yet if your phone has a removable battery, take it out so it’s not transmitting. -The blood/brain barrier in a child’s skull is thinner, so children absorb more radiation when exposed to cell phones. 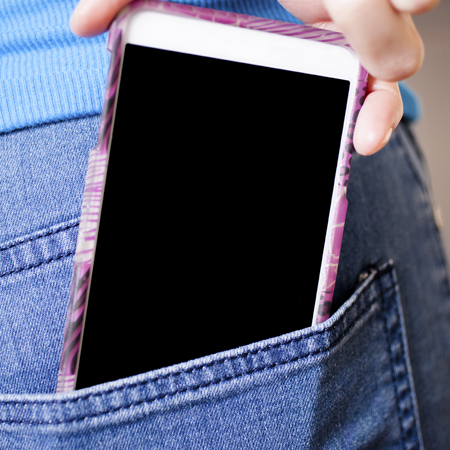 Do your best to keep cell phones away from children, especially infants and toddlers. Explain to older children why reducing exposure to cell phone radiation is good for their long term health. 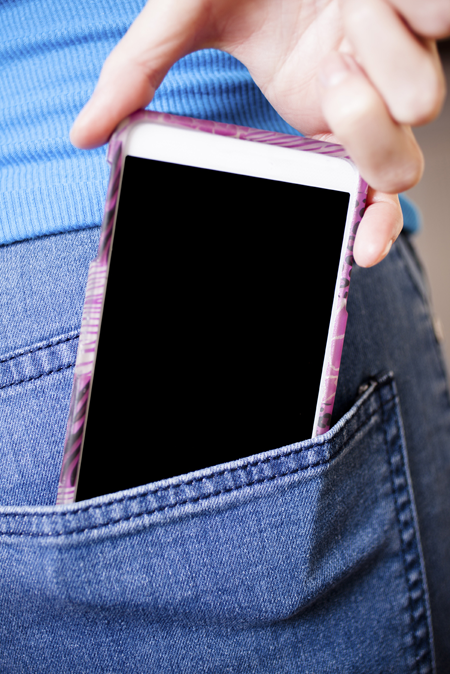 -Pregnant women should consider seriously limiting their use of cell phones. -Opt to have a land line in the house and use it when possible. That’s good advice for anyone who wants to reduce the effects of radiation.